Tractors • Trailers • Horse-drawn grader • Nice line up of Snap-on and other brand name tools • Power tools • Furniture • Antiques • Collectibles • Electronics • New merchandise • Glassware • MORE! 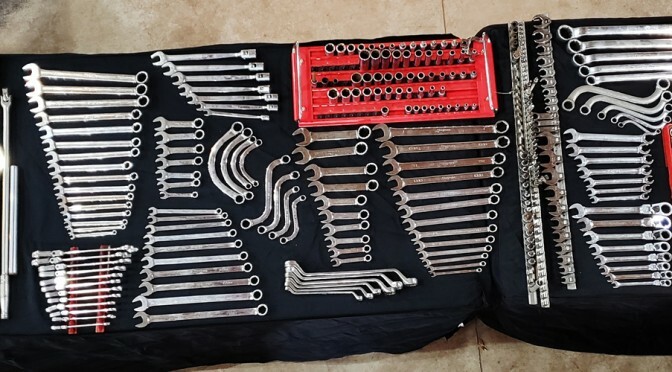 • Nice line-up of Snap-on metric and SAE wrenches, sockets, etc. Our Annual Black Friday Auction is always lots of fun! We’ll see you there! We are still taking in quality items. Our annual Black Friday Auction is always a good time with lots of items and something for everybody. Plan on attending!